My mom makes this really great recipe for oven roasted broccoli. It quickly became a family favorite and my boys call it "burnt broccoli" due to the slightly charred appearance. Because they liked it so much I started to do other veggies the same way. 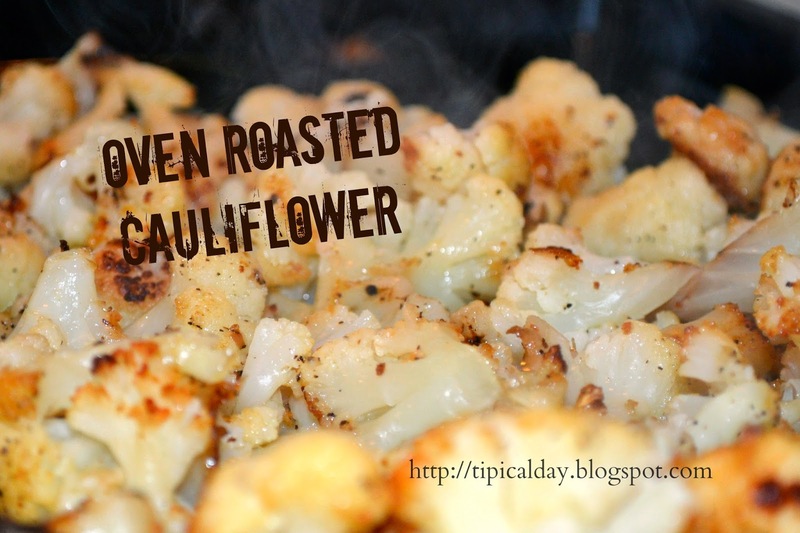 My personal favorite is this super simple oven roasted cauliflower. I hope you enjoy it! 2. On a baking sheet, spread out the frozen cauliflower. Drizzle the olive oil evenly over the cauliflower. Sprinkle generously with the garlic salt and pepper. 3. Bake for about 30 - 35 minutes or until cauliflower is cooked through and browned on the bottom. It should be crispy on the edges and soft towards the center. mmmm good, I love how this looks and it probably tastes awesome!!! Thank you for linking up again with us at the #WWDParty and sharing this great recipe. Have a wonderful weekend!